Recently, I received signed CD copies of Titus Andronicus' first three albums. I was pretty stoked about that, but the New Jersey-based punk band decided that I hadn't had enough Titus Andronicus action during April, judging by the announcement of a 29-track long rock opera entitled The Most Lamentable Tragedy that will be released July 28, which just so happens to be frontman Patrick Stickles' 30th birthday. The album will be the group's first for Merge Records after leaving XL Recordings, and it certainly seems like Stickles and his bandmates are pulling out all of the proverbial stops for the reported 93-minute long rock opera about manic depression. 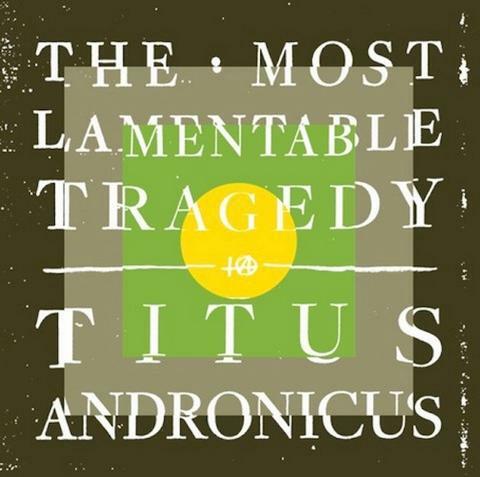 In fact, some elements of the new album were specifically added just in case The Most Lamentable Tragedy ends up being the last under Titus Andronicus. "The last note on the new record is F, and that's the first note on the first album," Stickles said in an interview with Grantland's Steven Hyden. "The last song on our new record is a cassette tape recording, and the first part on the first song on our first album is a recording made from the same cassette player. It's like when a TV series doesn't know if it's going to get renewed for another season, so they say, 'Let's leave some doors open if we get another season, but if we don't, let's make sure this season finale is an effective series finale.'" 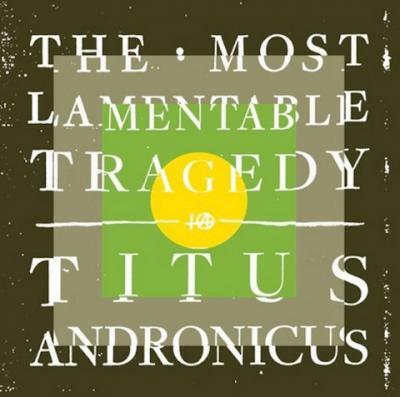 For entirely selfish reasons, here's hoping that The Lamentable Tragedy isn't the last Titus Andronicus album. Check out the song "Dimed Out" and the tracklist for the album below if you're in the mood to rock. 2) "No Future IV: No Future Triumphant"
3) "Stranded (On My Own)"
5) "I Lost My Mind (+@)"
9) "I Lost My Mind (DJ)"
16) "(S)HE SAID / (S)HE SAID"
21) "A Pair of Brown Eyes"
23) "I'm Going Insane (Finish Him)"
25) "Into the Void (Filler)"
26) "No Future Part V: In Endless Dreaming"